The latest figures released by Bacs Payment Schemes, the company behind Direct Debit and Bacs Direct Credit, have revealed that 2017 was another record-breaking year. Over the course of the year, 6.34 billion payments were processed in the UK worth a total of £4.9 trillion. There was also a new record set for the number of Direct Debit and Bacs Direct Credit payments processed in a single day. At the end of June 2017, 111.7 million payments passed through the system, two million more than the previous record set in September 2016. With a processing window of 15.5 hours, that’s equivalent to 7.2 million payments an hour and 120,000 per minute. This year is set to be one where there’s much change in the payments and banking industries. The revised Payment Services Directive (PSD2), which aims to improve consumer protection, make payments safer and drive down the costs of payment services, was introduced on 13 January 2018. The new directive is set to revolutionise the industry and as one of the most popular payment methods in the UK, Direct Debit will play a key role. Michael Chambers, CEO of Bacs, explains: “At a time of unprecedented change across the sector, this continued and impressive growth once again underlines just how important our payment products are to consumers and businesses alike throughout the UK. “As we continue to play a key role in the evolution of the sector, we remain focused on ensuring our products remain the payment method of choice for all those who rely on them each and every day”. The Bacs Direct Debit calendar has been published for the year ahead.  This allows you to easily check the dates when Bacs will process Direct Debit payment submissions in 2018. The calendar also shows the dates when payments won’t be processed (weekends and bank holidays) so you can plan your submission dates to maintain your cash-flow. However, if you’re a London & Zurich customer, we look after your submission dates for you. All you need to do is to choose when you’d like to charge your customers and we’ll submit your Bacs payments on the relevant date. Want to find out more about how Direct Debit can help your business reduce payment admin, customer churn rates and fees? Then contact our team today.